Just like your skin needs extra TLC in winter, it’s also important to keep your skin hydrated in summer months too. Those long summer days, holidays in excessive heat, extra humidity and often heightened pollution can badly affect our skin. We know all too well that hydrated, flawless skin can do wonders for your appearance and most importantly, make you feel confident too. 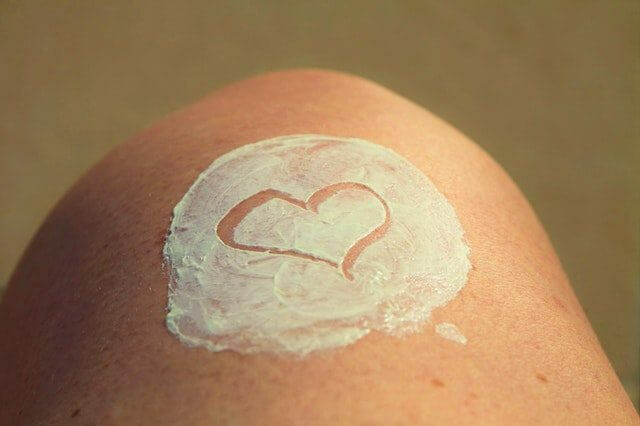 For ultimate skin hydration, we definitely need to give our skin that extra love and attention. The extra sun, humidity and sweating can make you susceptible to a number of issues including; clogged pores, blackheads, heat rashes and longer term effects from sun damage such as skin pigmentation, wrinkles and dark spots. The good news is, there’s plenty you can do to make sure you’re looking after your skin. We’ve pulled our top six tips together to help you maintain that healthy glow all summer. We know you hear it time and time again but it’s for good reason. Water is the gem of all skin saviours and we really should be making the most of it. Keeping yourself hydrated is even more important during summer, as the scorching heat will leave your body feeling more dehydrated and you’ll naturally lose more moisture as a result. Not only will water be refreshing and thirst quenching in the sun but it’ll also keep your skin moisturised and flush out toxins. As well as water, we’d also recommend drinking coconut water and green tea, to keep those electrolytes topped up and to detoxify the skin. It sounds obvious but it’s all too easy to forget to top up your sun cream, or to get caught off guard without it. We’ve all been there. Protecting your skin is vitally important and can prevent lots of long term damaging effects such as brown spots, wrinkles and coarse skin. Apply and keep reapplying. Today’s brilliant technology and enhanced products means there’s a sunscreen for all skin types too, so you won’t need to worry about greasy skin, sensitivity or reactions. A tan may look nice in summer but it is essentially just damaged skin. Moisturise and fill your skin with age-fighting ingredients to protect it from further damage and repair it too. There are lots of brilliant natural face masks to try that are full of antioxidant rich ingredients to keep your skin healthy and glowing, such as honey and cucumber. Gently exfoliate your skin once a week to remove any dead skin and impurities. This will allow your skin to soak up more hydration from moisturisers and SPF. Keep skin looking fresh and clear, getting rid of the added pollution, sweat and humidity with a gentle cleanser. Stay away from salty snacks and food which can make your body more dehydrated. Instead, opt for natural food packed with water, nutrients and antioxidants, such as cucumber, berries, broccoli, and watermelon. They’ll keep you feeling refreshed and super healthy too. There is a new way to boost skin hydration – a new injectable aesthetic treatment. Juvederm Volite is a rejuvenating treatment which aims to increase hydration and elasticity, as well as improve the texture of the skin. The injectable treatment has long lasting effects, offering deep hydration for up to nine months, so it’s perfect to take you from summer to winter. If your skin needs a little seasonal pick-me-up, take a look at our non-invasive face treatments. Hand Rejuvenation can also be useful.